Delicious cheese plate. Quite filling too. 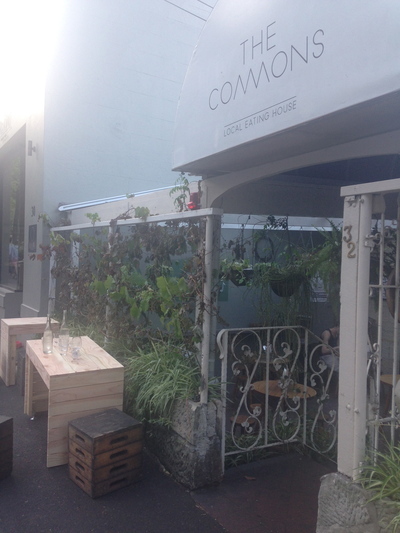 The Commons Local Eating House at Burton Street Darlinghurst, is located right next to RAW Anthony Nader - one of Sydney's most popular hair salons. 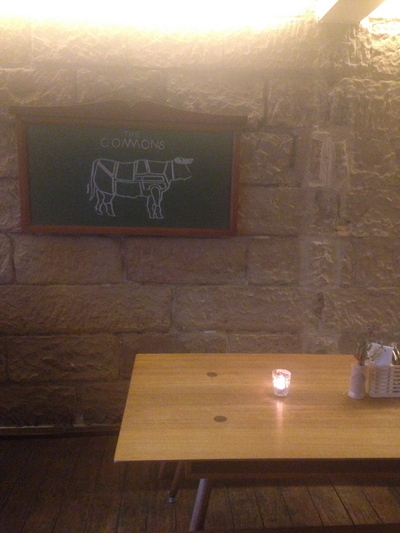 The Commons is a rather cosy establishment, yet ever so welcoming. It is easy to feel right at home here. People arrive here feeling content, and you leave feeling slightly more content. More in the mood for a great night lies ahead. Speaking of which, The Commons is located right near the new Eternity Playhouse theatre. Staff are armed with leaflets if you want to check out what shows are on here. Then again, they generally ask you whether or not you're going to the theatre. The vibe is so chilled. You can either enjoy some food, coffee and great company - either inside or out. Great to enjoy outside. Expect lavender plants, and a small milk pot full of raw sugar to land on your little table - with a little backyard stool to boot. Speaking of a chilled out vibe, you might catch a local wearing thongs, shorts and a t-shirt surfing the net on his MacBook Pro - all this while sipping on a coffee of the luxury kind. 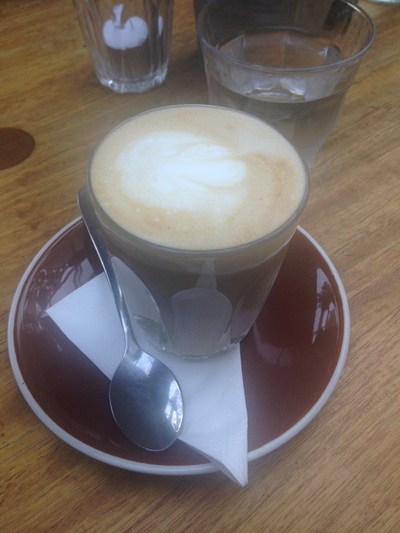 Enjoyed a Latte ($3.50) with great company recently. Just needed one sugar, and I was home and hosed. The coffee hit at around 6:30pm on a Wednesday evening was just what the doctor ordered. Ask for some water too. 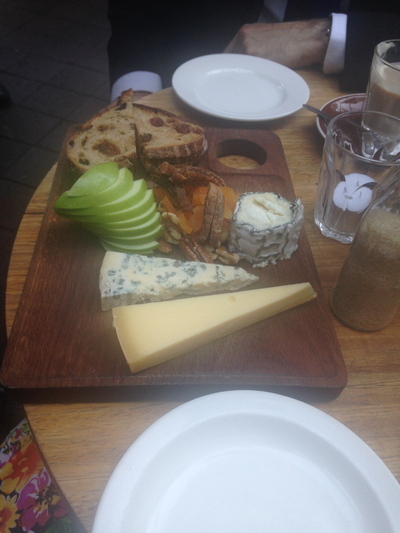 Loved the Cheese Plate ($25) that I shared with my mate. The staff went on to explain what the different types of cheeses are. I recall there being goats and cheddar cheeses on this plate. 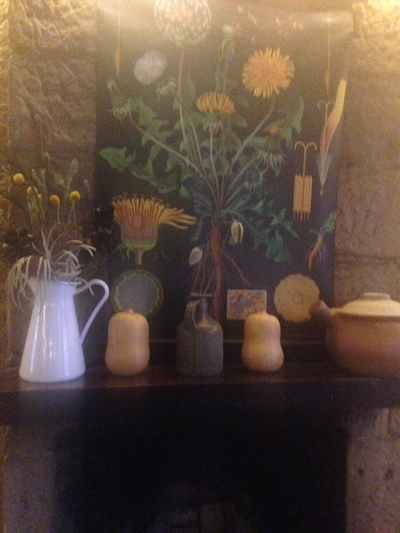 The fruits comprised of apple, apricots and figs. Some fruity bread came with the plate. There was a problem. What might be the problem, you might ask? There was not enough bread to soak up the cheese. It was kind of awkward having to paste and taste some cheese on my hands, as soon as the bread ran out. Needless to say, two was definitely company at the time. Loved the goats cheese. We ended up leaving a fair bit behind, to make our way to the theatre after great and intelligent conversations were enjoyed. Had a great time here. Thank you so much. 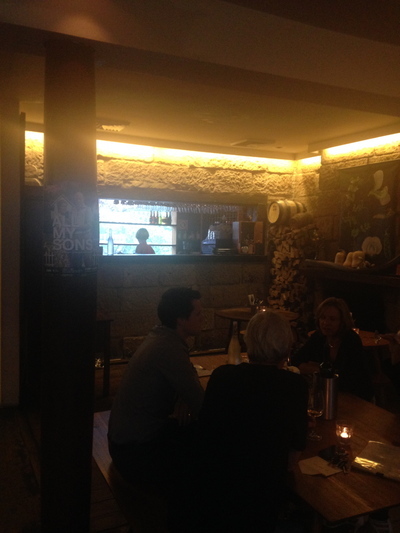 The indoor ambience is also perfecto, however the outdoor backyard vibe was just perfect. 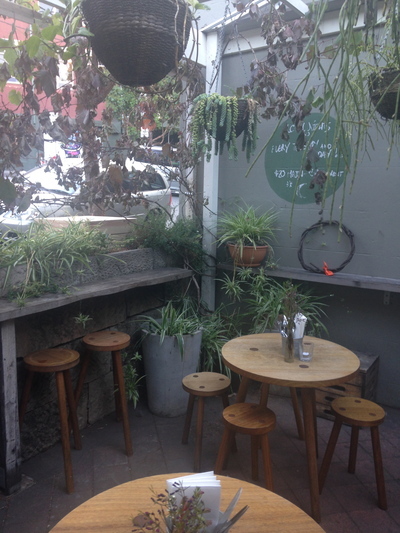 Where: The Commons Local Eating House, 32 Burton Street Darlinghurst NSW. Why: Coffee - most definitely. Also loved the cheese plate. Cost: Coffee for two people, and the cheese plate came to $34. When: After work during the week. Best Christmas activity in Sydney?